The minds of the kids are always loaded with wild dreams and one of them is surely to have their own play house where they can get all the adventure and fun together. And if you have not been able to buy them a nice play house due to budget problems then you have pallets around to make their dream come true at a very low cost. Yes, using the free found pallets and getting some fun inspiration from this DIY pallet play house for kids, you can build a fancy play house for your little ones to drool over. Using the separated pallet slats, planks and the bar pieces the full structure of the play house has been installed like the main cabin with the windows, door, grills and the cute ladder. 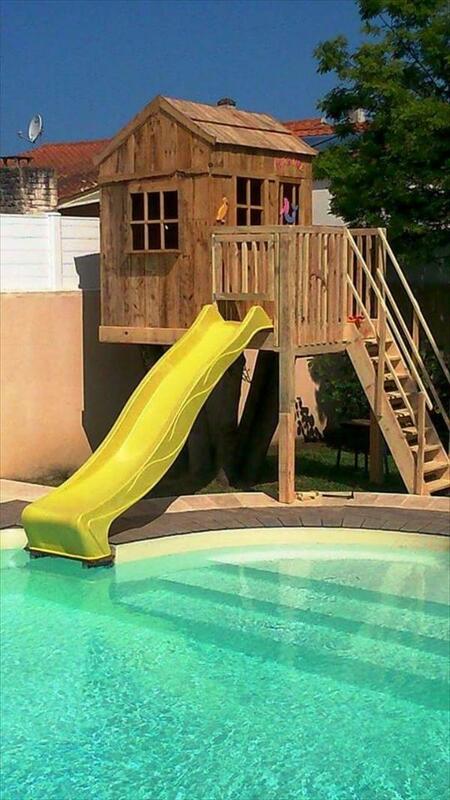 A fun pallet slide is added to the other side of the play house ending in the pool so that the kids can enjoy fun laps, up the ladder and down the slide and when tired rest in the house. The rustic brown finish gives a more natural look but if your kids like bright colors you can opt for them too. 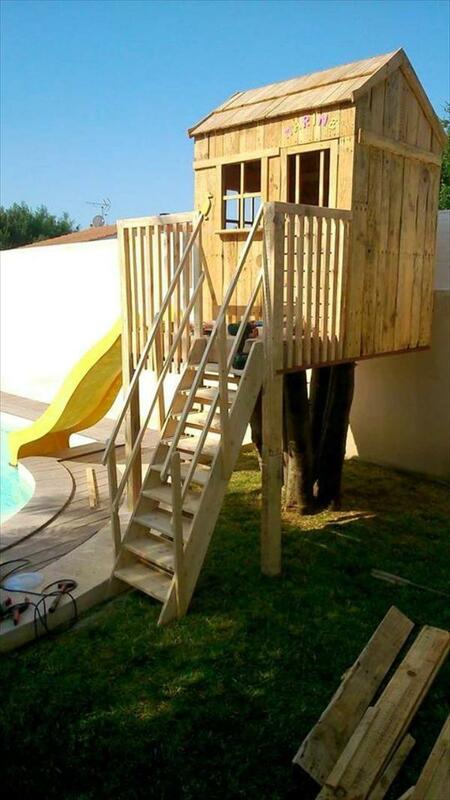 Kids would love this pallet made play house in the outdoor spaces of the house with a very enchanting design and drool worthy features that the kids would fall in love with. 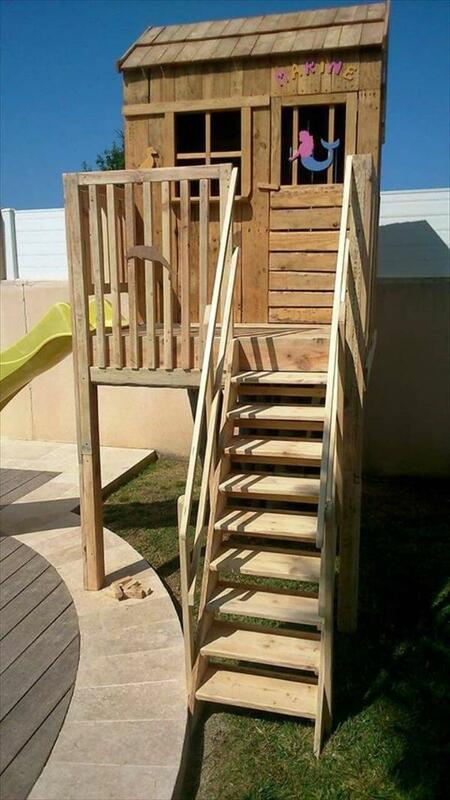 The whole structure of the play house be it stairs, the main cabin section and the side grills all are made with the easy stacking of the pallet slats and planks with nails and screws. Kids can double up the play house fun as it has a slide that leads to a pool dip and thus the kids can have a blast of fun at the weekends with the siblings or the friends.